The James Monroe statue, located outside Tucker Hall just south of the Senior Walk, was dedicated on April 23, 2015. 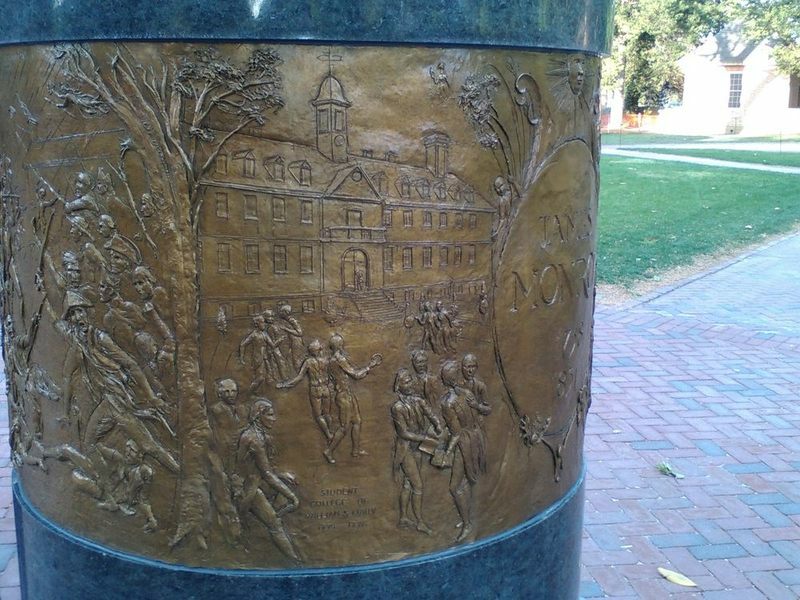 The statue was a gift of William & Mary alumni Carroll and Patty Owen in honor of the class of 1962. 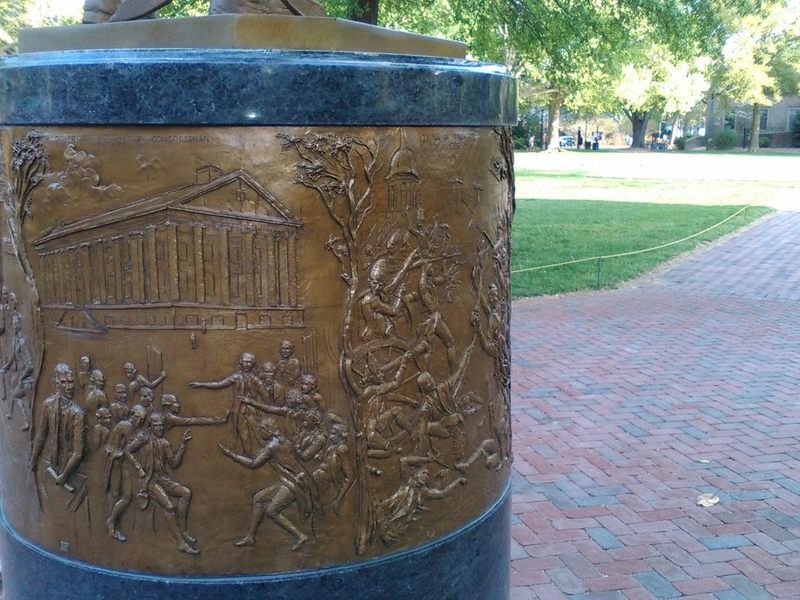 The bronze statue shows Monroe protecting a globe in his right hand, referring to the Monroe Doctrine, and a frieze around its base depicting important moments in his life. Eight vignettes show scenes from Monroe's life including his student experience at William & Mary 1774-1776, his military service at the Battle of Trenton, his diplomatic experience, his service as secretary of war, and as his presidency of the United States. The statue was created by Gordon Kray, class of 1973. Kray has created other pieces on campus including the replica of the Botetourt statue in the Wren Yard, the Marshall-Wythe statue at the law school's front entrance, and the Pierre Charles L'Enfant statue in the atrium of Alan B. Miller Hall. 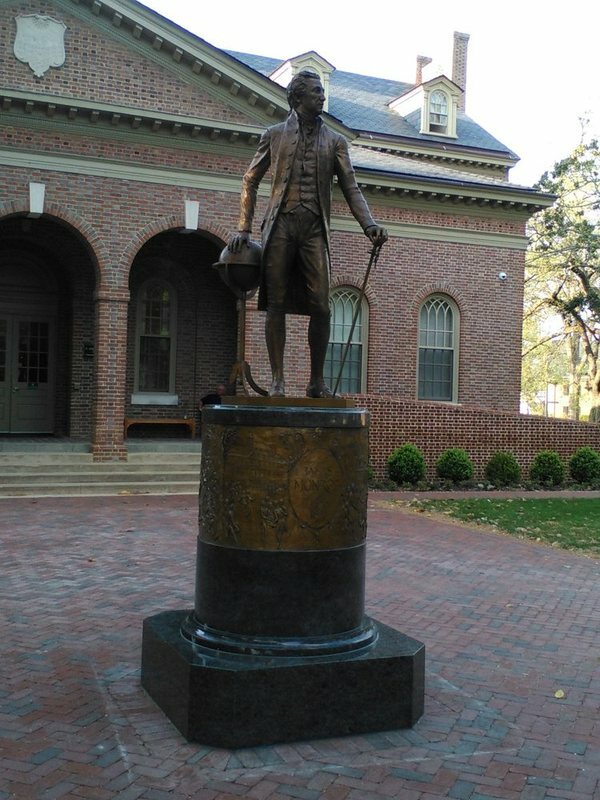 James Monroe Statue, 2015: Photograph featuring the front of the James Monroe statue outside Tucker Hall in April 2015. ~ Source: University Archives Photograph Collection, UA 8. ~ Creator: College of William and Mary. 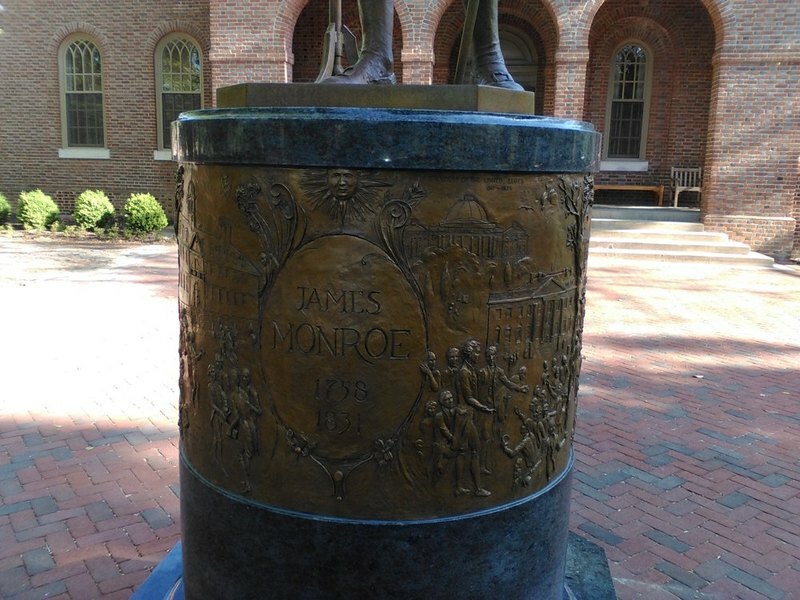 Base of James Monroe Statue, 2015: Photograph of the base of the James Monroe statue featuring Monroe's time as a student at William & Mary taken in April 2015. ~ Source: University Archives Photograph Collection, UA 8. ~ Creator: College of William and Mary. 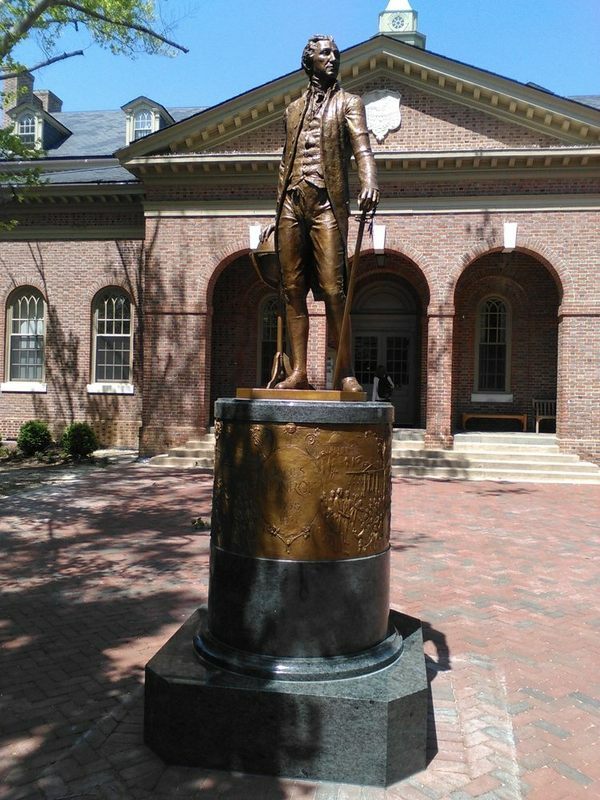 James Monroe Statue, 2015: Photograph featuring the side of the James Monroe statue taken in April 2015. ~ Source: University Archives Photograph Collection. ~ Creator: College of William and Mary. Base of James Monroe Statue, 2015: Photograph featuring the base of the James Monroe statue depicting Monroe's life as a diplomat and the Battle of Trenton taken in April 2015. ~ Source: University Archives Photograph Collection, UA 8. ~ Creator: College of William and Mary. Base of the James Monroe Statue, 2015: Photograph featuring a view from the front of James Monroe statue's base taken in April 2015. ~ Source: University Archives Photograph Collection, UA 8. ~ Creator: College of William and Mary. 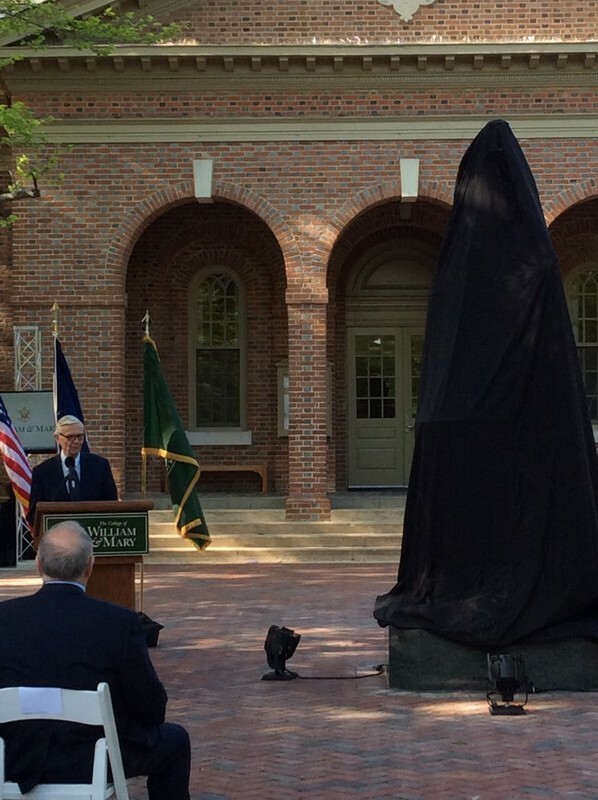 Monroe Statue Dedication, 2015: President Taylor Reveley speaks at the dedication of the Monroe statue on April 23, 2015. ~ Source: University Archives Photograph Collection, UA 8. ~ Creator: College of William and Mary. Monroe Statue Dedication, 2015: Donors Carroll and Patty Owens of the Class of 1962 view the unveiling of the Monroe statue on April 23, 2015. ~ Source: University Archives Photograph Collection, UA 8. ~ Creator: College of William and Mary. 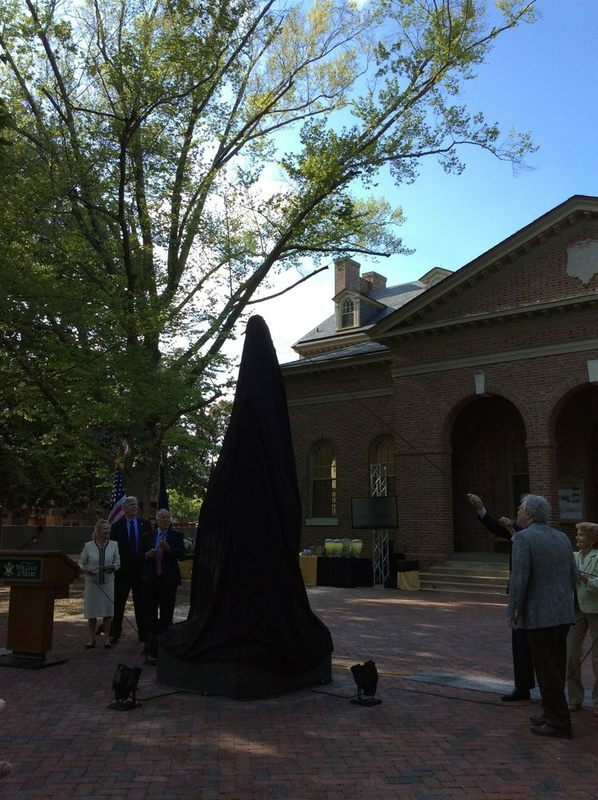 Special Collections Research Center, Swem Library, College of William and Mary., “James Monroe Statue, Dedicated 2015,” TribeTrek, accessed April 26, 2019, https://tribetrek.wm.edu/items/show/73.